Find out what makes Chris Aoki such an amazing golf teacher. 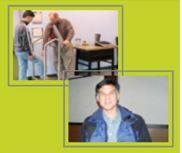 Read the testimonials of some her past and present students. Discover what is in store for you. 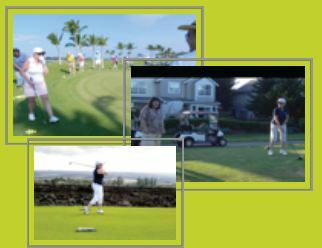 Chris Aoki Golf Academy…making golf easy and fun…KNOW THE JOY! Chris is a miracle worker! 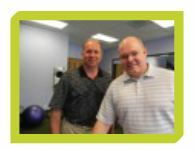 "Chris has been my golf coach for four years. My husband calls her the miracle worker! I call her a friend. She has the uncanny skill for identifying my "challenges" and correcting them with a steady stream of encouragement. With the indoor facility I can work on my golf year round. It's a pleasure to work with her." 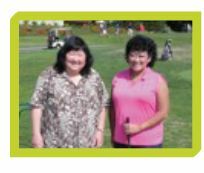 "I really enjoy the fitness lessons and golf lessons and now you've made me love the game again!" This program is a must! 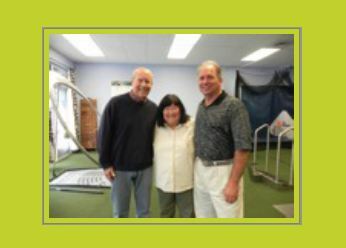 "Working with Chris Aoki Golf Training Academy has transformed my golf game and my life. Kirk and his fitness program has improved my overall healthy and flexibility. Chris Aoki incorporated these changes to lower my handicap from a 9 to a 2 while making the game easier to play. It's more fun to hit the ball farther and straighter with less effort. It even lowered my bowling handicap twenty pins. This program is a must no matter what your skill level." 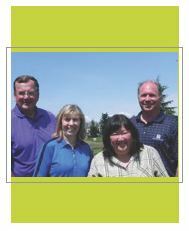 "Chris has been a great help with my golf game. She quickly spots what I'm doing wrong and gives me corrections that put my swing back in shape. I also love the video as it is great to be able to see in slow and stop motion what I'm doing wrong (or right)." Rutledge Maul Architects P.S. Inc.
My own personal golf instructor! My son and I play together! 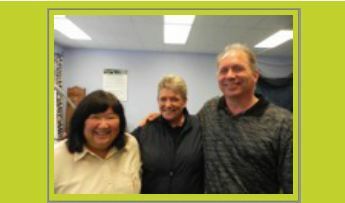 "I've enjoyed and learned so much from Chris and Kirk that my son, Michael, wanted to start taking lessons also. Now thanks to Chris' and Kirk's instruction, he's improved to the point of joining me on the golf course. 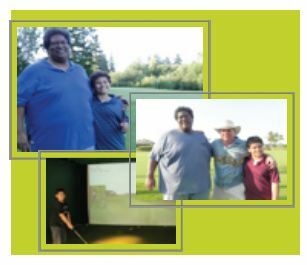 Michael has great enthusiasm for the game of golf and has steadily progressed thanks to the high quality of their instruction and their patience." The simulator improved my game! "I've spent a lot of time over the years practicing at the range, with only modest improvement. When I started working with Chris in her simulator i discovered it was the most efficient way for me to improve my game. I can get a whole season of improvement in one or two sessions in the sim. I've gone from mid 90s to low 80s and I'm told if I actually practiced outside the sim I'd be in the high 70s. I highly recommend working with Chris in her sim if you want to improve the most efficient and fastest way possible." Chris is supportive and encouraging! "Chris is a great teacher, you can just tell that she loves to teach. She quickly evaluates what you're doing and always has a customized lesson plan based on your level of experience and ability. Chris is always supportive and encouraging and I always feel like I've made progress after each lesson. I originally went to Chris because she understands my goals and there is always something to work on!" "Forget the books for the experts and I've read them all. She's a master club fitter, developed her own putter fitting system, physically trains your body to meet golf's unique demands and helps you train your mind to play your best golf. make not doubt that you have to put the work in, but it's fun and it sure beats making minimal progress while undergoing major frustration...."
Chris makes you want to improve! 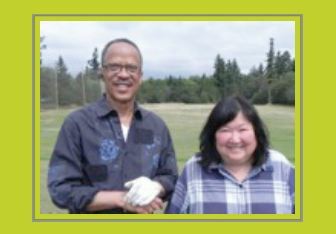 "Chris Aoki has a very unique teaching technique that has improved my golf swing and scores every time I go to her studio! Rain or Shine she has that smile and attitude that makes you want to improve! Without her, I would have quit golfing a long time ago! 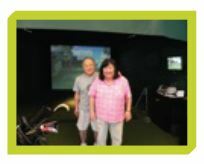 her studio has the State of the Art computer to help you on your drives, fairway shot, hitting out of the rough and sands to putting, every part of your game! Plus her teaching skill makes for a very enjoyable lesson!" "I would recommend her to anybody and everybody!"